I was sort of obsessed with eating all the things when I visited Singapore a few years ago. I mean, it’s the best food city on earth (don’t @ me). When it was time to leave, I realized I hadn’t yet tried one of the most Singaporean of snacks, curry puffs! Think curried chicken and potatoes in a deep-fried pastry shell. Yeah. I hurriedly bought one at Changi Airport right as we were boarding and savored the carby, meaty, buttery goodness right before saying goodbye. 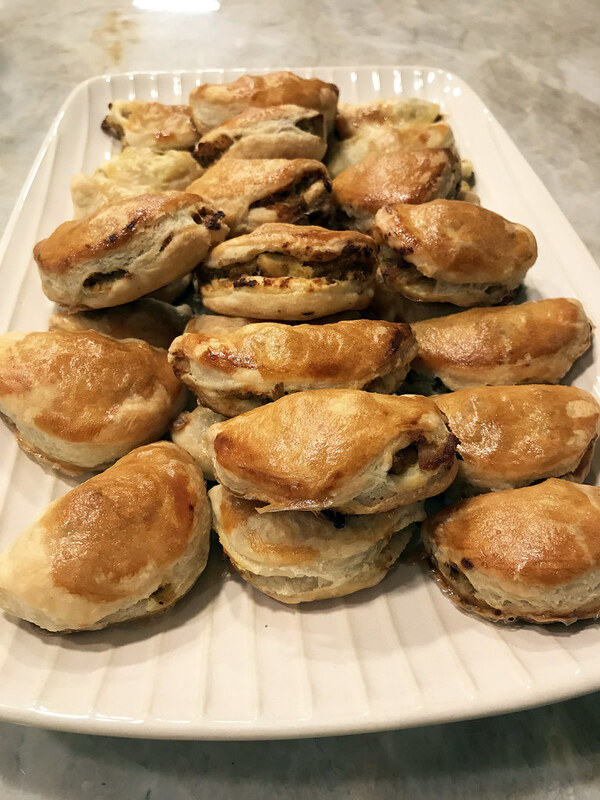 I can’t find curry puffs in the Bay Area, but I can make them with relative ease at home. I take a shortcut with puff pastry and I oven bake them so they’re a bit healthier, but they’re just as delicious. 1. Place a wok over high heat until hot. Add oil, then add ginger, onion, and green onions, and stir-fry for 5 minutes, until onion begins to brown. Add chicken and stir-fry for another 2 minutes. Stir in potato, curry powder, and soy sauce. Remove from heat and let cool. Transfer mixture to a large bowl and lightly mash with a potato ricer. 2. Preheat oven to 375F degrees. In the meantime, on a floured board, roll out puff pastry to a thickness of about 1/4 inch; cut into 4-inch circles. Place 1 tablespoon filling on each circle. Brush edges with egg wash, fold dough to make half-moons, and press edges to seal. 3. Place on a lightly oiled baking sheet. Brush tops with remaining egg wash. Bake until golden brown, about 25 minutes. Serve warm. 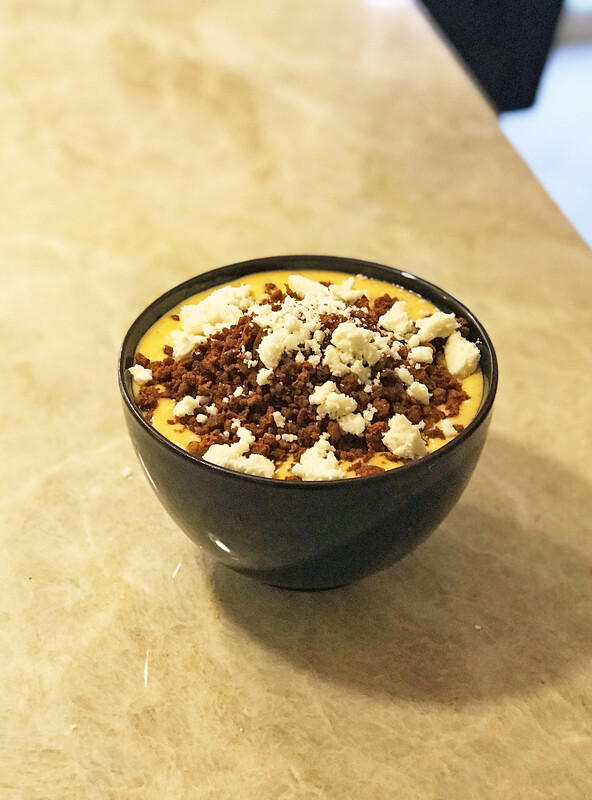 This dish is elegant, this dish is healthy, and best of all, this dish is extremely simple to make. 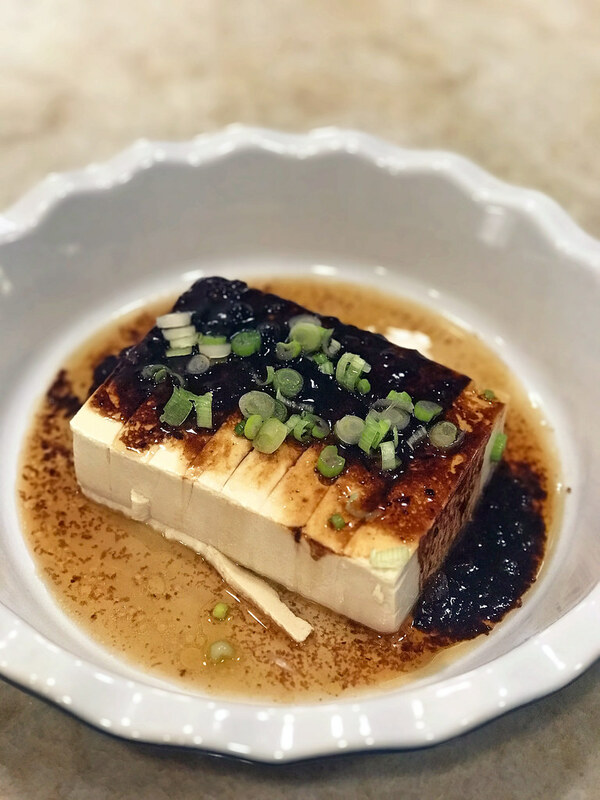 Just make sure to use soft tofu in this recipe, because it’s all about the silky texture here. 1. To make the sauce, combine the black bean sauce, soy sauce, sesame oil, and sugar in a small bowl. 2. Cut the tofu widthwise into 8 slices. Carefully transfer the tofu into a heatproof ceramic dish that will fit into your steamer. 3. Prepare a wok for steaming. Steam the tofu, covered, until heated through, about 3 minutes. Pour the sauce over the top and steam for 4 more minutes. Garnish with the green onion and serve warm. Crispy, salty, and savory, these Vietnamese-style spring rolls are fried to perfection and make a delicious appetizer. 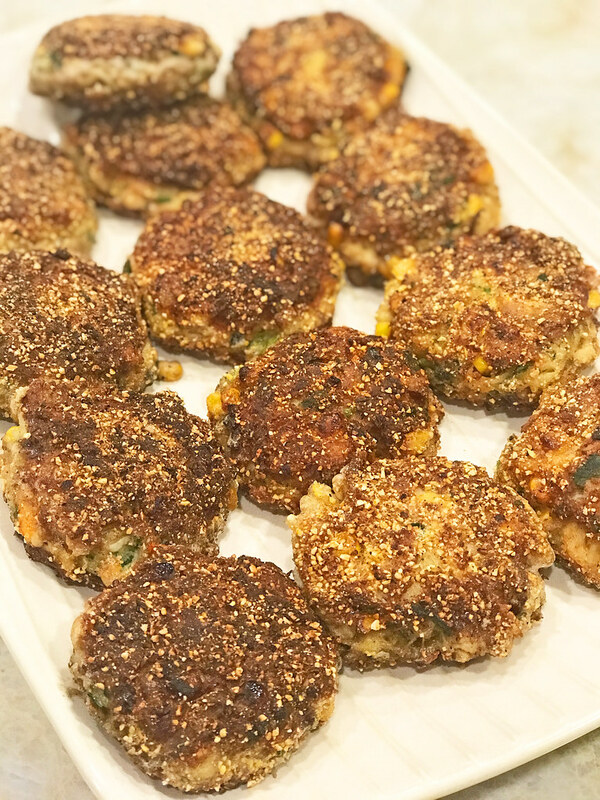 I’ve adapted these from the traditional version: I use ground turkey instead of pork, and I shallow-fry instead of deep-fry. And you know what? Even though they’re labor-intensive, I prefer them to the restaurant version. Make sure to make enough nuoc cham dipping sauce to go with these spring rolls: the bright, tart sauce cuts through the spring rolls perfectly. 1. Combine 1/2 teaspoon minced garlic, 1/4 cup fish sauce, lime juice, water, vinegar, sugar, and chile in a bowl and stir to dissolve the sugar. Set aside. 2. Place the turkey in a mixing bowl and add the shallots, remaining garlic, carrot, bean thread noodles, black pepper, and remaining fish sauce and mix well. Set aside. 3. Set out two large plates. Fill a wide bowl or basin with 2 inches of warm water. Wet 1 paper until softened, then place on one of the plates. Place 2 tablespoons filling in a line about 5 inches long across the wrapper, leaving a 3/4-inch border at either end of the line. Fold the edge nearest you over the filling, fold over the sides of the rice paper, and roll up tightly. Place on the other plate, cover with a damp cloth, and repeat with the remaining papers and filling. 4. When ready to fry, set out another large plate lined with paper towels. Place a stable wok or heavy skillet over medium high heat and add oil to a depth of about 1 inch and heat until hot. Add the rolls one at a time to the pan, being careful not to splash yourself with oil, without crowding, and make sure the rolls aren’t touching. After you add the rolls to the oil, they’ll bubble and the rice paper will change texture. Use a spatula or heat-proof tongs to gently turn the rolls so they cook evenly. Cook for 8-10 minutes, until lightly golden all over, then use a slotted spoon to transfer to a paper towel-lined plate. Repeat with the remaining rolls. 5. 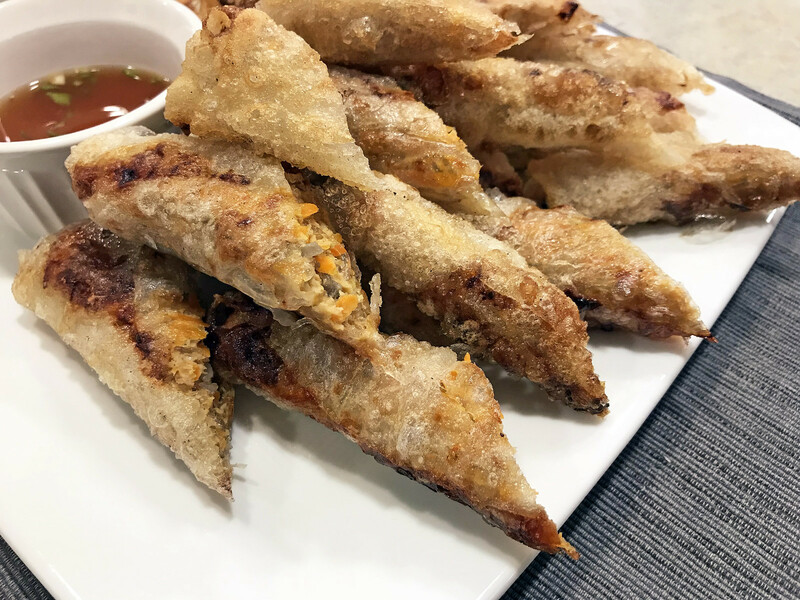 Cut each cooked spring roll in half on the diagonal and arrange on a platter alongside the nuoc cham dipping sauce and serve warm or at room temperature.